Stunning portrait photography at my studio or on location. 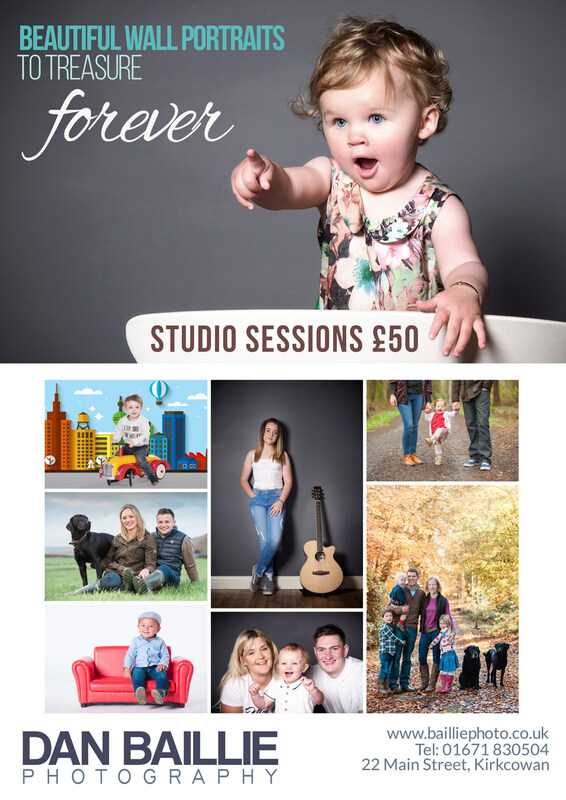 I run one of the largest photography studios in Dumfries and Galloway and where I provide indoor studio portraits with a number of different lighting styles and a wide range of different backdrops. 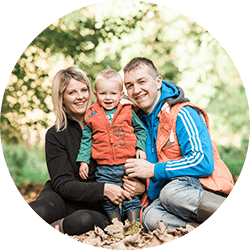 Families and children of any age can have relaxed and informal portraits captured which can then be printed or put onto canvas and photoshoot prices start from just £50. At the studio I am also able to provide passport photographs and commercial headshots or advertising images for singers, musicians, actors and models. If you want to take advantage of the beautiful scenery of Dumfries and Galloway then that isn’t a problem. I am able to provide location photoshoots anywhere in the region. This is perfect if you would like a photoshoot to incorporate your farm, house or your favourite location. I can also capture you enjoying your favourite sport be it horse riding, mountain biking or some other outdoor pursuit. If you would like to stay uptodate with special offers, studio events and discounts then click here to subscribe to the newsletter.